This video will introduce you to replacing images inside WordPress posts and pages. You can quickly change out images in a post or a page. If you want to replace an image that is in one of your posts or pages, click on the image and select the ‘Delete’ icon. 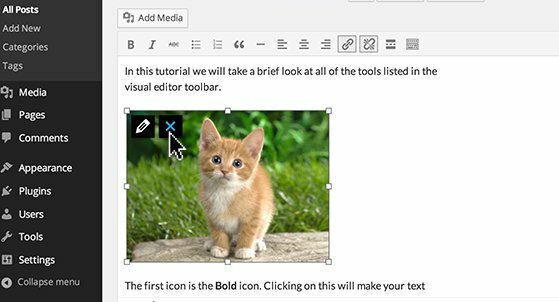 The cursor will replace the image giving you the option to drop a new image in its place by clicking the ‘Add Media’ button. Click the ‘Delete’ icon and the cursor will hold the place of the image. Under the ‘Media Library’ tab, in the ‘Insert Media’ screen, select an image by clicking on it. Options to adjust the details and display settings will appear. When you are happy with the image settings click the ‘Insert Into Post’ button. 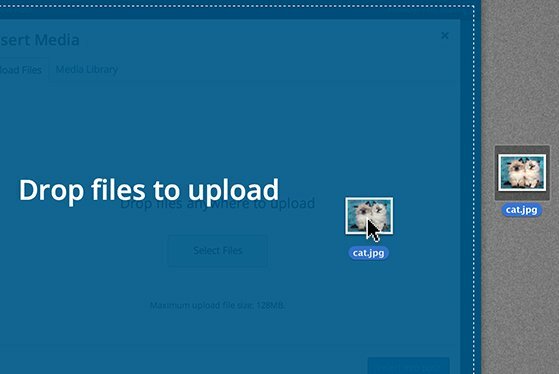 To upload a replacement image, from the ‘Upload Files’ tab drag an image over the browser and drop the image where it says ‘Drop files anywhere to upload’. When the file is added click the ‘Insert Into Post’ button. Drag a file from your computer into the browser. Once you have successfully replaced your image you can preview the changes by clicking ‘Preview’ in the ‘Publish’ module, or click update to make your changes go live immediately.